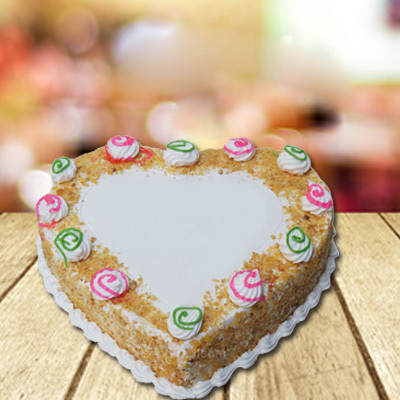 This Heart Shaped Butterscotch Cake on Mother's Day To Completely Surprise Your Mom!! - For Message with Combo please specify a noted in “Gift Message" box during the checkout. - Same Day and Midnight Delivery Service available. - The image displayed is indicative in nature. Actual product may vary in shape or design as per the availability.